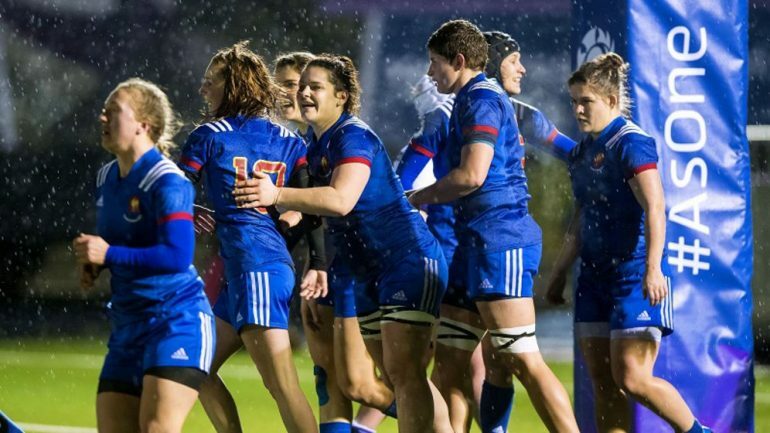 Big news from France: the FFR announces 28 contracts for 15s players, to bring them in line with their 7s sisters – and more or less in line with their English counterparts, though the fine print of the contracts differs. Complaints are already streaming in about the 50% part-time arrangements set in place. The recipients are: Lise Arricastre, Cyrielle Banet, Camille Boudaud, Caroline Boujard, Pauline Bourdon, Emma Coudert, Annaëlle Deshayes, Coumba Diallo, Céline Ferer, Audrey Forlani, Gaëlle Hermet (C), Clara Joyeux, Fiona Lecat, Romane Ménager, Marine Ménager, Safi N’Diaye, Elise Pignot, Yanna Rivoalen, Agathe Sochat, Milena Soloch, Caroline Thomas, Dhia-Maïlys Traore, Laure Touye and Gabrielle Vernier. There are lots of familiar names there, but crucially, none of the contracted 7s players, hence the inclusion of several lesser known players (see below). As Samuel Cherouk announces his French squad for the 2019 Six Nations on 16 January, the odds swing markedly towards England. Only one player under a Sevens contract, the redoubtable Lénaïg Corson, finds a place in the 15s group. So the decision has been made: all the other great players who have been doubling up in both formats of the game, Jessy Trémoulière, Caroline Drouin, Monserrat Amédée, Chloe Pelle, Shannon Izar, Marjorie Mayans, Carla Neisen and Jade Le Pesq, will not be lining up against the Red Roses in Doncaster next month. Their captain, Gaëlle Hermet, was in no doubt: ‘We will have to raise our game to retain the title’. We can be sure she wasn’t referring merely to the ever rising standards in the tournament. When you have to manage without the World Player of the Year (Trémoulière) and the French Player of the Year (Drouin), that places great responsibility on their replacements. Caroline Boujard, primarily a winger, played exceptionally well as a stand-in No 15, and younger players came in to fill (metaphorically) large boots. But this decision at last brings France into line with other nations (like England) in separating off the two squads. In preparation, 29 players are spending five late-January days together at Marcoussis, south of Paris. From them 23 will be selected for the course of the 6 Nations. France have only two home games this year, which adds marginally to the size of the challenge facing them. England’s recent announcement of contracts clarifies where the elite players stand. Of the 7s squad four players, Ellie Kildunne, Meg Jones, Alex Matthews and Amy Wilson Hardy, may well have been on Simon Middleton’s wish-list. But he has weathered an Autumn international season without them and now has the huge boost of seeing Jess Breach, Mo Hunt and Emily Scarratt restored to the strength. In that respect he has been infinitely more fortunate than Cherouk with his one parallel gain, Corson. But French women’s rugby is on an upward surge. Their triumphs last year with a Grand Slam and a first defeat of New Zealand have buoyed them immensely. Now it’s up to the newer caps to prove that les Bleues have the depth of talent to respond to this challenge. Joma Tie Up Royals Rowe & Jones To Boot Deal. 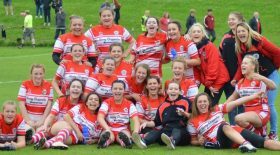 Tickets now available for Lancashire Thunder home matches. Abbie Scott to captain the Red Roses against Wales. Six Nations – Last Round 2019 – Roses in Full Bloom.